If I could wrap today up and tie a big shiny bow around it I would. I would save it for next week when the highs will be back in the fifties and sixties. Or better yet I would send it off to those of you who are still dealing with ice and snow. Today was a gift. A gift of summer. A gift of 81 degrees with a warm breeze and the sun bursting out of a perfectly blue sky. It was a day I have dreamed about for months. A day that I wondered if it would ever get here. A day where you could sit and watch leaves and blossoms pop out. It was perfect. P.S. I did not get the piece of furniture I wanted at the auction. Unfortunately it was above my pay grade, but I know there is a perfect piece out there waiting for me. I hope yours arrives soon, Kim. I think 60's are wonderful. Diana, you are desperately in need of some warmer weather. I hope you get some soon. The flowers are so pretty! I'm glad you're getting a taste of spring. Thanks, Brenda. I love sitting here and watching the green leaves pop out. We had that same wonderful weather here today. I definitely feel like it was a gift! Glad to know you had rays of warm sunshine. Isn't it amazing how a beautiful day can lift your spirits. It's starting to warm up here - and the snow is melting - but there's still far too much white out there lol. I do realize how lucky I am to have this wonderful weather. I hope that your snow goes away quickly. I can remember spending time in Quebec during the summers when I was a child. It always seemed chilly even in July. Ohhhhh soak in that fabulous fresh air and weather. We actually saw 65 on Monday here but it is back to cooler days. Hopefully soon. Kris, I hope your husband is feeling better and that we all get warm days, every day, soon. These perfect days are the best aren't they! So glad you enjoyed one! Today was in the mid 40's and I thought that was warm! Guess I'm getting used to the cold. Gorgeous photos Laura. Enjoy your day. 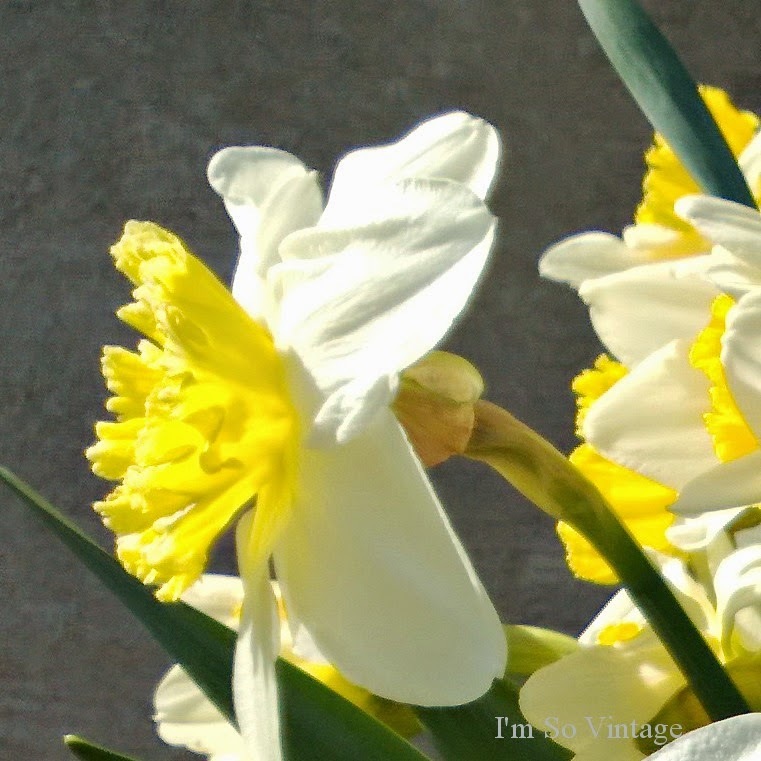 I love this variety of daffs with the white! I'm so glad you got your nice warm day. It's exactly how I felt visitng wine country recently. I'm a heat lover too! 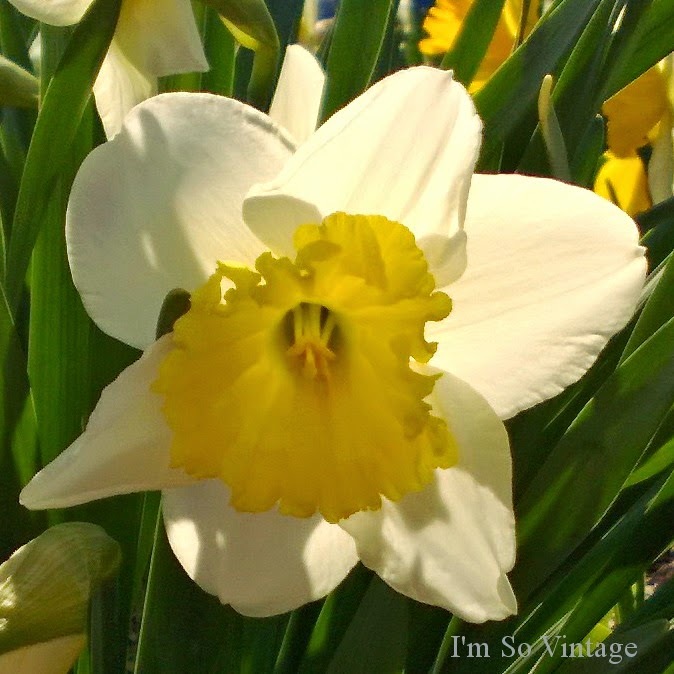 Thank you for the beautiful bouquet of daffodils. They're my favorite because of their courage, the first flowers in my garden to come up after the snowbanks melt. Re. the auction - next time. :-) Enjoy your Thursday, Laura. I'm so happy for you that you had a lovely day. It does lift one's mood, doesn't it? We had a summer like day and I went to work in the garden straight after school. 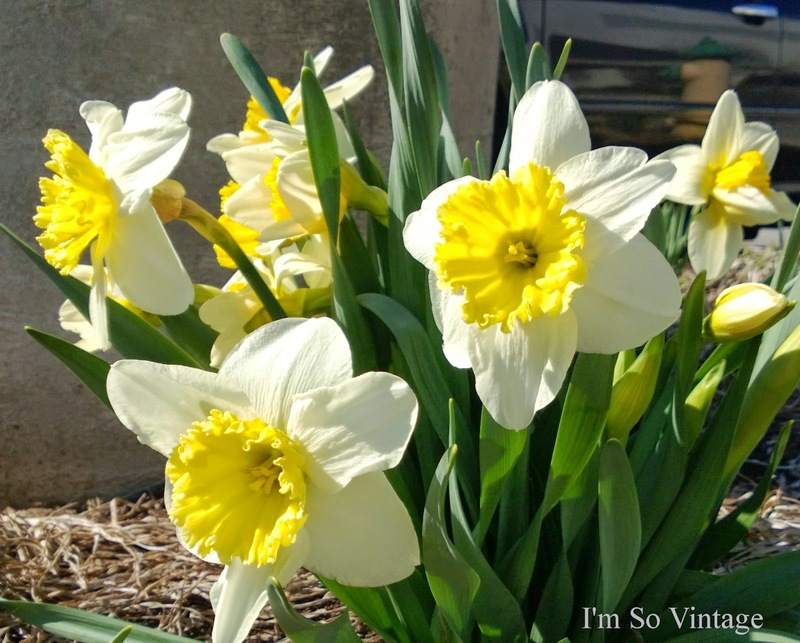 What a beautiful post, spring has truly sprung!